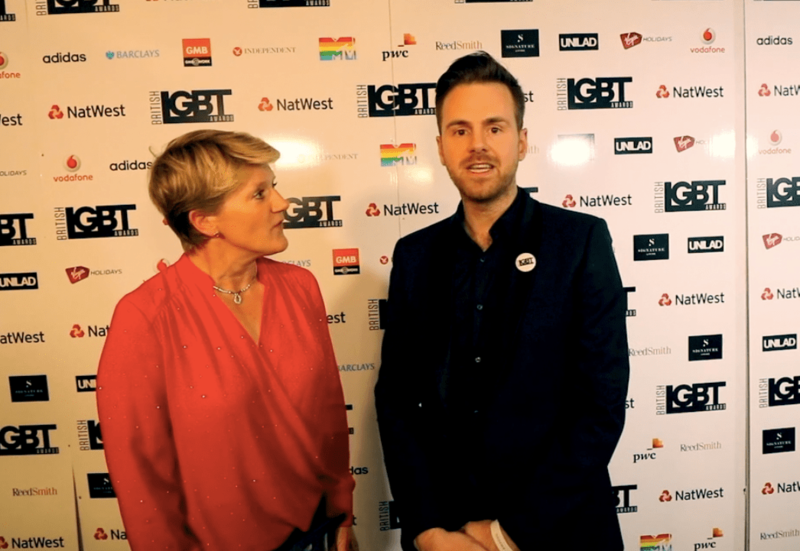 BBC’s Clare Balding showed what a big hearted woman she is by handing over her LGBT award for Broadcaster / Journalist of the year to the BBC journalist Andy West sensationally fired by the corporation last year. 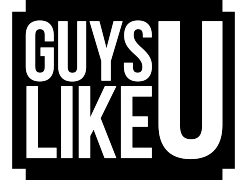 The 35 year old news caster – and GuysLikeU columnist – lost his job in 2015 after he publicly criticised the corporation for nominating Tyson Fury in their Sports Personality of The Year Award, which Clare was hosting. He was angry that the successful boxer was being honoured in such a public way after he had made outrageous comments claimed that legalising pedophilia was the same as legalising homosexuality and abortion. 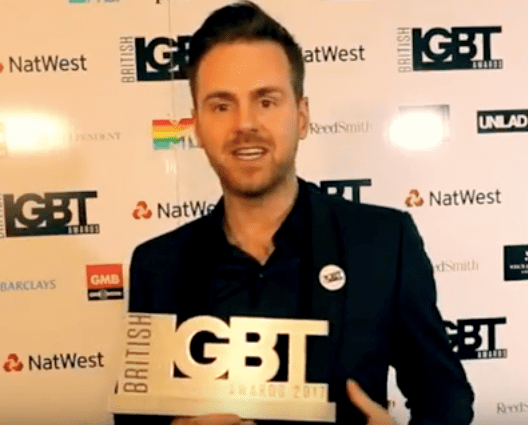 Chatting backstage at the LGBT awards last week, handsome Andy asked the respected gay presenter if she understood – as a gay woman – the decision the BBC had made to support the nomination, even though it was made by a third party. She explained that the decision had been made by a panel that actually did include BBC staff members. “The nominations are made by panel of which some members are BBC employees. It’s a cross party panel. They decide on sporting achievement. 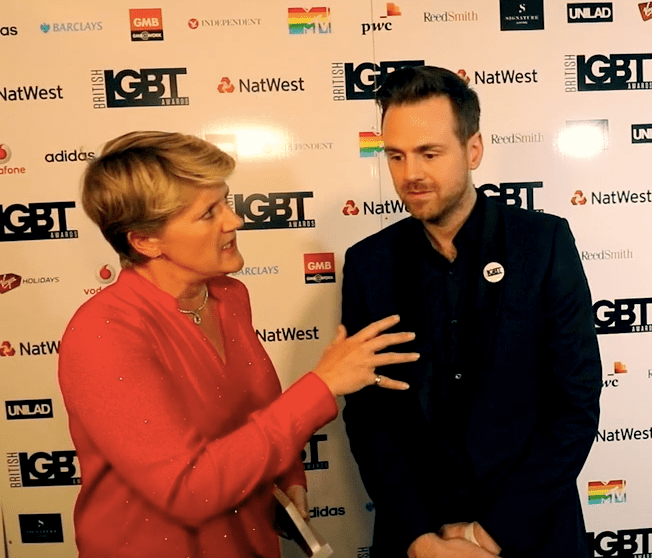 She also told Andy that on the night she presented the lavish Awards in Norther Ireland back in 2015, she was pleased that the boxer – who had said gay people were bringing about Armageddon and that women should be chained to the kitchen “wasn’t in the top three” and that “I did not have to interview him”. However, although she is adamant that she doesn’t agree with many of Tyson’s views, she said would like to grill the controversial boxer. When Andy West told her he would love to interview him, she said: “I would take that view as well. I wouldn’t love to, I would slightly dread it, but I would like the opportunity to debate certain issues with him. 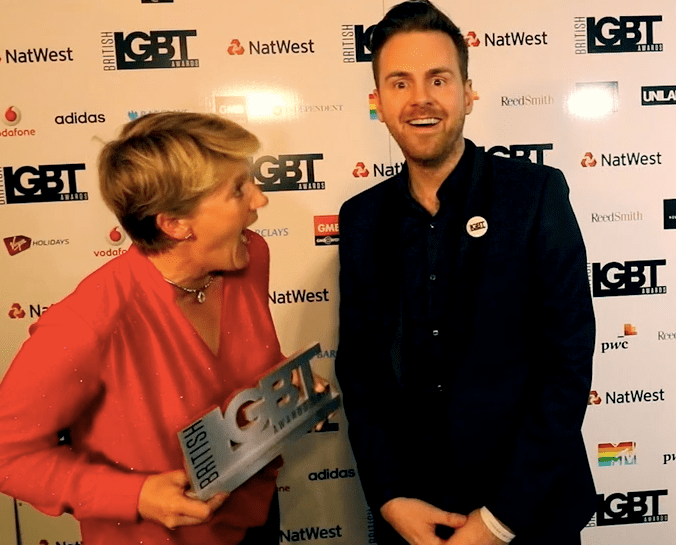 As Clare was about to leave the red carpet Clare turned back to Andy and handed him her award. “For your stance,” she replied, a cheeky glint in her eye. Acknowledging the irony of the gesture, Andy clarified. 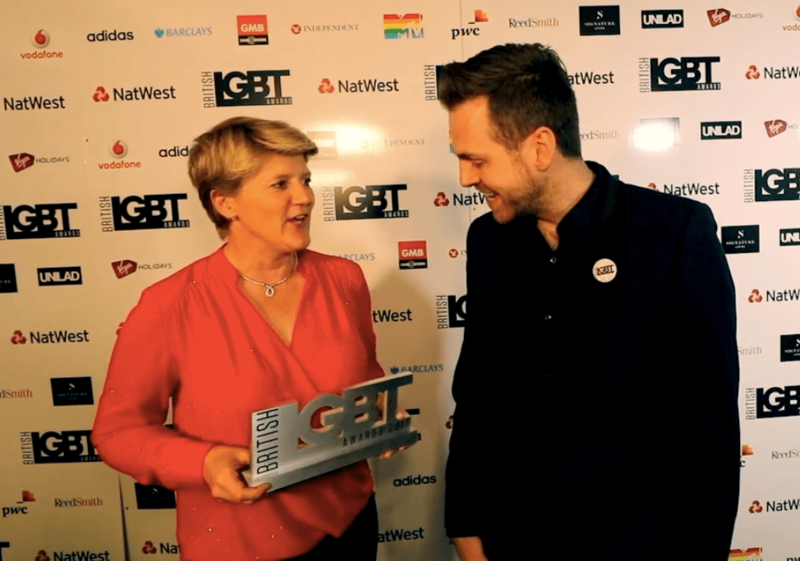 “And I was handed this by Clare Balding from the BBC – now there’s a headline” before sincerely congratulating her on all the hard work she’s done for the LGBT community. Previous ArticleGuess which TV star doesn't want to see THIS on Strictly? Next ArticleOMG! Which amazing diva has covered City of Stars from La La Land?